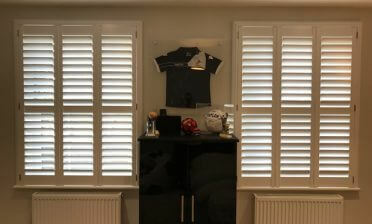 We often find ourselves in Croydon helping new clients select the perfect shutters for their homes. This time we were in Purley Downs installing some new shutters for 2 door openings in the customers kitchen. 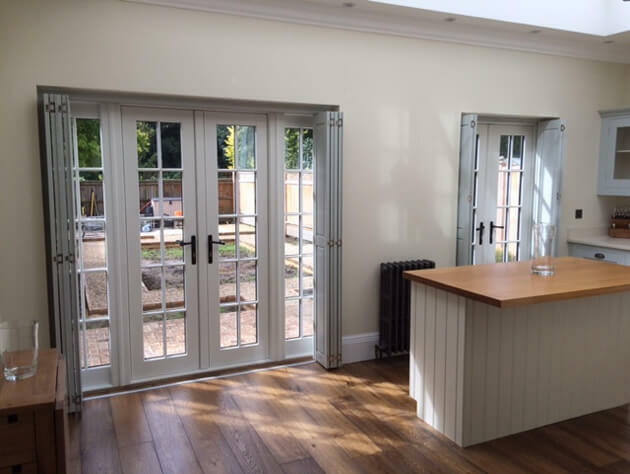 The kitchen has been newly renovated and the shutters are required for the patio doors that lead out to the garden which is currently being landscaped. The client required that we match the shutter colour to their existing kitchen cupboards. Although we offer a huge range of paints and stains as standard we can also match our shutter finishes to specific colours you have in mind, or items and fittings around your home. 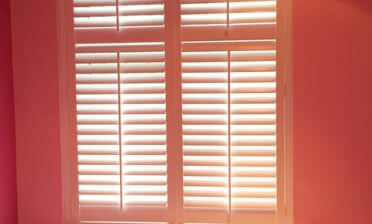 This is perfect for those looking for truly individual shutters that match your taste and room decor. 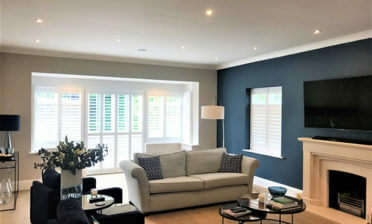 The colour used was Dulux heritage Green Slade which allowed the shutters to fully match the cupboards helping them to blend into the overall look of the room. We even used some nickel plated hinges which fit in perfectly with the nickel cupboard handles! 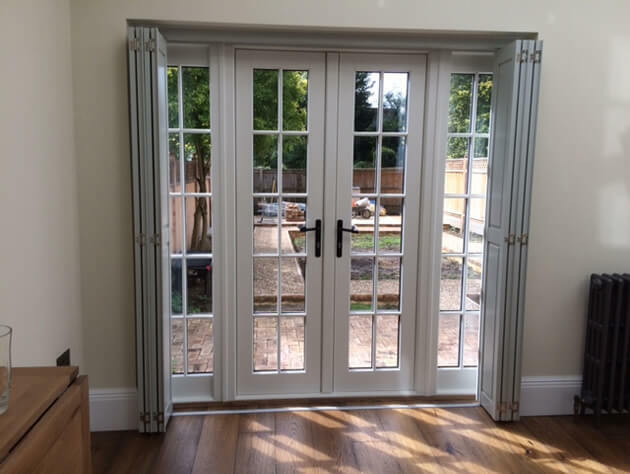 Using solid raised full height shutters from our Sumatra Range, we fitted the shutters on a sliding track system so they can be fully pulled to the sides of each door. As you can see they slide sideways and rest at 90 degree angles to give maximum room and light entry when fully open. When closed the shutters are completely solid without louvres so provide fantastic privacy and is in keeping with the traditional look that the client asked us for.